In March, we announced the call-up for Start-ups for the 2015 edition of the Pivot East competition. 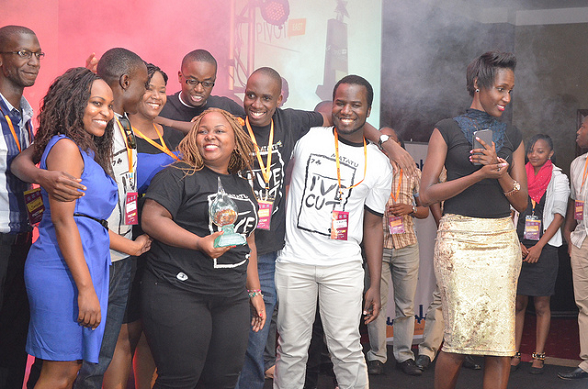 Pivot East is a stratups competition geared towards nurturing the growing ICT talent in East Africa. This year’s edition of the competition is mirrored on the objective of “facilitating the discovery of the next wave of high potential mobile startups in the region”. The competition attracted startups from Kenya, Uganda, Tanzania, Rwanda and Ethiopia applying as well as others from Nigeria, Zimbabwe, Burundi and Israel applying to join the competition. Ten semi-finalists have been selected in five categories which include Mobile Finance, Mobile Enterprise, Mobile Entertainment, Mobile Utilities and Mobile Society and Governance. From the 50, 25 finalists will be selected before undergoing training prior to the event. The 25 selected will then have a chance of pitching to an audience of Investors, Development Partners, Government Representatives and other key mobile industry players from East Africa. after their participation in the competition.